From Salta to Patagonia, you can sleep with the moon shining over the vines and see sunrises where the sun lights up the leaves and the grapes. The only thing left to do is book a room. The Calchaquí Valley, between Salta and Catamarca, has a string of villages and vineyards 2,000m up in the mountains. 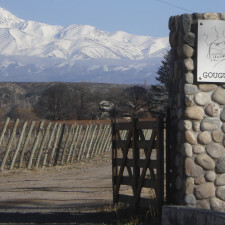 This gives rise to some of the most unique wines in Argentina, moulded by the sun, the glare of the valley and the stony soils. 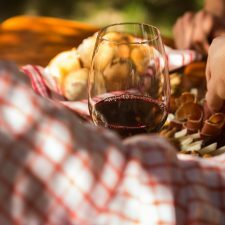 To really appreciate the breadth and solitude of these landscapes, one should spend a night or two under the star-filled sky, sipping a good Torrontés or Cabernet Sauvignon. For a couple of nights like this, three sites are ideal. The first is the Hotel Boutique Altalaluna & Spa ($130 a night). With classic colonial architecture, comfortable rooms and long galleries with ceilings of wooden beams. A very attractive feature are the surrounding vineyards, a perfect place to unwind. The second is Patios de Cafayate ($180) a rural style hotel, with outstanding views of the mountains and a very appealing air of relaxation. By following the extensive courtyards, one is led through the gardens and into the adjacent winery El Esteco. And from its bell tower you can get an excellent view of Cafayate. Last but not least is Viñas de Cafayate Wine Resort ($150). With an entrance that is guarded by cacti, lavender and vineyards, it’s reminiscent of a lost paradise. It is best to enjoy a glass of wine on the balconies that overlook the vineyards and the foothills of the mountains. 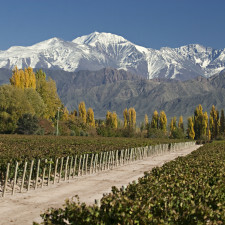 Mendoza is the capital of Argentine wine. Not only because it represents three-quarters of the country’s production, but also because every oasis has its surprises. In that sense, a tour of the lodges and boutique hotels is also a tour of diversity. Spending a night or two in any of them means waking up to majestic mountains or one of the most beautiful cities in Argentina. Around Lujan de Cuyo, there are a handful of lodges and hotels where you can get a perfects nights sleep after a day in the wineries. 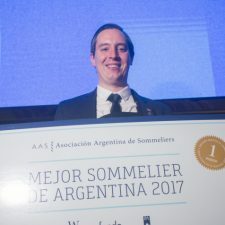 The first is Cavas Wine Lodge ($450), nestled in acres of vineyards and a stones throw from some of the most prestigious wineries in Mendoza. It offers fully equipped lodges with stunning mountain views in the heart of Agrelo. The second is Entre Cielos Hotel Boutique ($650), a luxury hotel surrounded by very old Malbec vines. Most notable is the Loft Suite, which towers above the vineyards and literally offers a balcony on top of the vines. With less luxury but equal care there is Club Tapiz ($170), one of the best stops for a night between visits. 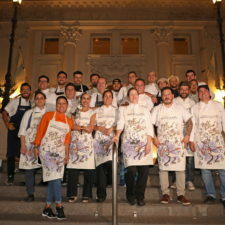 The ancient building belonged to a winery from the nineteenth century and today, equipped with a hotel and a restaurant, it is an exquisite, neatly decorated place. The tower room is the old vineyard lookout. Another option is Bodega La Posada de Vistalba ($120), which offers only two rooms in the heart of a bodega. 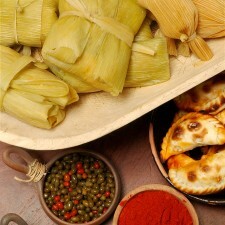 Similar to this, but in the Valle de Uco, is Posada Salentein ($180). It’s 16 rooms with good food and very quiet surroundings are a great place to wake up. In the Valle de Uco, there are at least three lodges worth keeping in mind. Alpasion ($280) offers comfortable rooms and high-end personal attention with a magnificent view of the Cordillera in a patchwork of vineyards. La Morada de los Andes ($140) with a similar location, functions as a place of rest, and an exquisite range of wines. Nothing like having a nightcap on the terrace at sunset, with the sun disappearing behind the Andes. Uco House ($390), is a luxuriously designed hotel with modern architecture which rises just above the foothills and vineyards. Seeing the Cordillera reflected in the lagoon is a sight to behold. Further south still, in San Rafael, there is a hotel and lodge that shouldn’t be missed if you’re heading that way. Algodón Wine Estate ($310) is a wine cellar that offers elegant country hospitality in the vineyards. Decorated in a country style, the restaurant Chez Gaston is excellent.